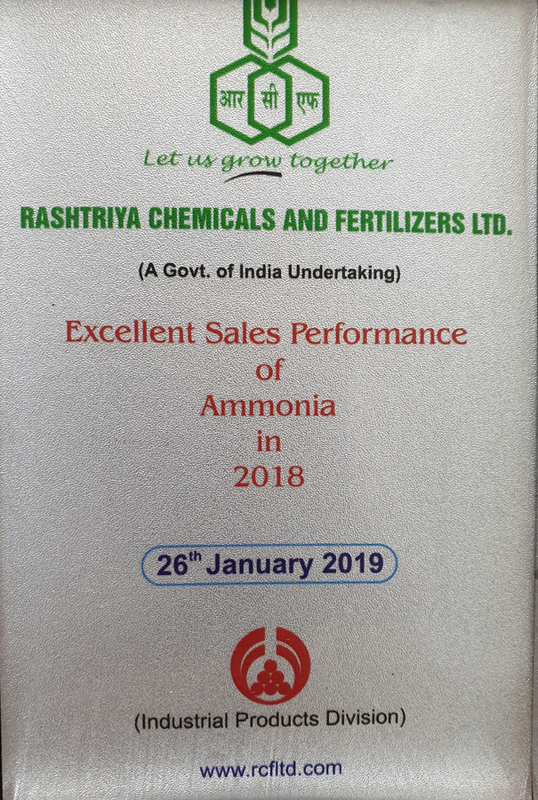 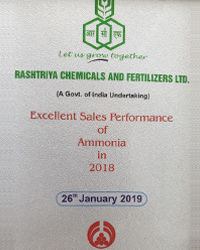 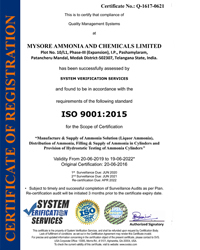 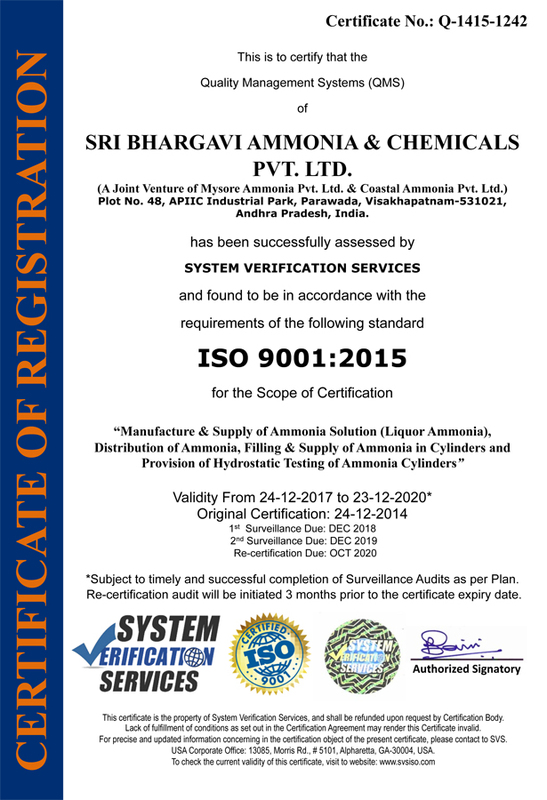 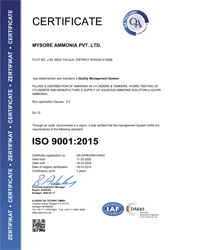 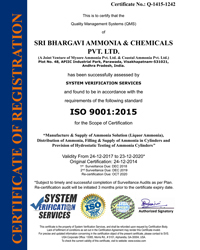 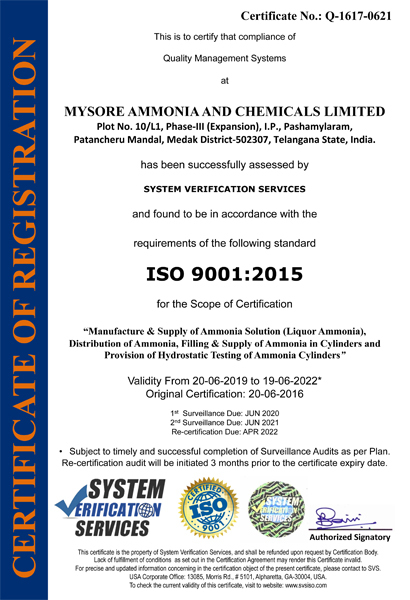 ﻿ Quality Policy and Certifications of Mysore Ammonia Pvt. 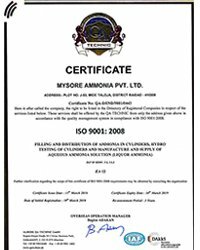 Ltd.
To provide total customer satisfaction consistently and competitively through continual innovation and improvement. 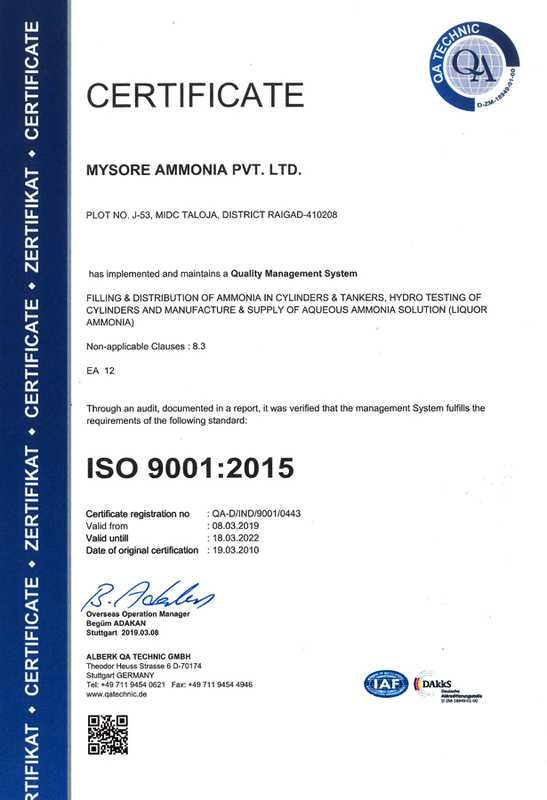 To extend our quality policy and integrate quality conciousness to all areas of our business. 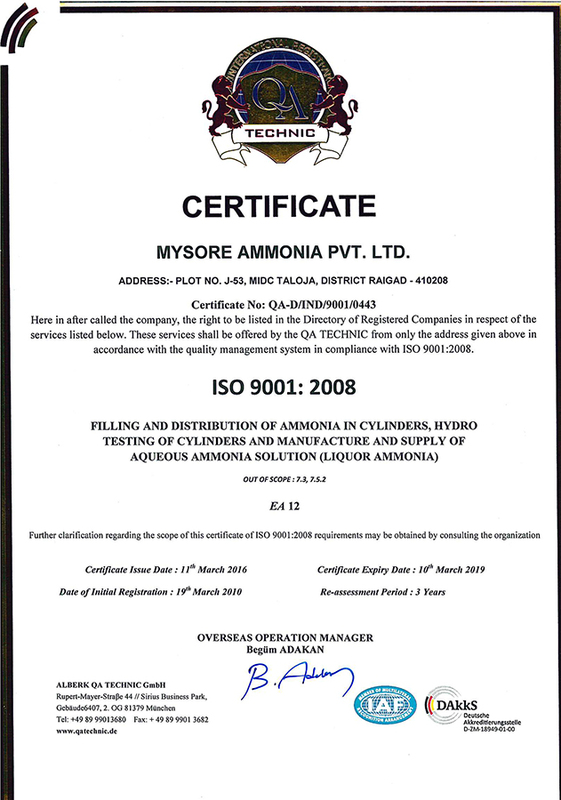 Mysore Ammonia & Chemicals Ltd.